High Oil Pressure Causes, Symptoms & Function - Mechanic Base.High Oil Pressure Causes, Symptoms & Function - Mechanic Base. Increased or high oil pressure in your car is an alarming situation and should be dealt with quickly. Ideally, the oil pressure should stay at the median point on the gauge and if it is abnormally high, then an inspection will be required. Most drivers conclude that it is time for engine replacement when facing a high oil pressure situation, however, that is not always true. In this post, we will explain to you what causes high oil pressure and how can you prevent and also fix it. Engine temperature is the most common reason for high oil pressure. When your engine oil is cold, you do normally have very high pressure. Check your pressure when your engine oil is hot instead. If the pressure is too high when the engine oil is hot, you have to start diagnosing it! The Relief Valve prevents damage to the piping and vessels due to high pressure. If the oil pressure does not reach its optimal level after driving the car, then there might be some problem with the relief valve. One way to check is by removing the valve, cleaning it and installing it again to test whether the oil pressure goes back to normal. It is located at the oil pressure pump and can be pretty hard to reach it sometimes. The High Oil Pressure problem can also be due to a faulty Oil Sending Unit. It can give you a false signal that the gauge is showing too high pressure, but in the reality the pressure is good. Diagnose it with a manual oil pressure tester to get the right pressure. Using a low-quality oil can also be the reason behind high or low pressure. A poor quality oil which is thin or lightweight can easily pass through the engine and will have a low pressure. Whereas, thick oil would require a high pressure to flow. If you change the oil to a different brand and notice an increase in pressure, it means that the previous oil was too thin to provide ideal performance. The oil filter is responsible for keeping the contaminants out and ensuring that the clean fuel reaches the engine. Over the time, dust and debris clog the oil filter and as a result, the adequate fuel does not reach the engine. Consequently, the engine’s temperature rises which leads to high oil pressure. Blockage in the oil passage can cause high pressure since the engine is deprived of proper lubrication. A damaged lifter tap can cause the blockage and if it remains blocked for a long time, the engine would be damaged to an extent that it would need to be replaced. Experimenting with different oil grades can sometimes be a bad decision especially if you did not consult an expert. 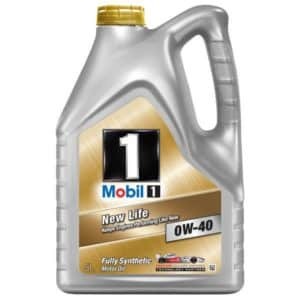 Different oil grades have distinct viscosity level and are meant for certain engine types. The recommended oil grade for your engine can be found in the owner’s manual. The oil pressure ensures that the mechanical components of the vehicle stay well lubricated. 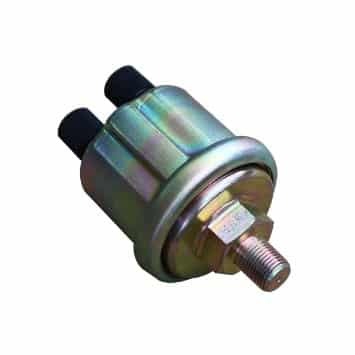 This improves the life-span of the mechanical parts such as camshaft, main, balance shaft bearing and prevents the engine from getting too hot while driving. It’s very important for your engine to always acquire the right oil pressure. Without oil pressure, your engine will seize within a few minutes depending on the load and RPM. 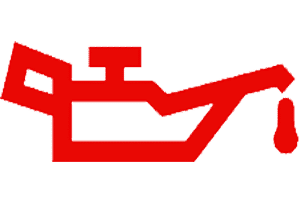 Because of the importance of the oil pressure, there is an oil pressure warning light on your dashboard and if your oil pressure gets too low or too high, the oil pressure light is flashing on your dashboard. If your oil pressure light is flashing on your dashboard, you should stop your vehicle and turn it off imminently! So, What’s the Ideal Oil Pressure? The ideal oil pressure ranges between 25 to 65 psi when the engine oil is warm and 1000-3000 rpm, whereas if the oil pressure reading shows 80 psi or above then there is some serious problem. This is, of course, depending on what engine you have and how worn the engine is. If you want to learn the exact oil pressure that you should have in your car, I recommend you to check in your car repair manual! What to Do If Your Engine Gets Damaged by a faulty oil pressure? If your engine was starving for proper lubrication for a long time, there are chances that it is damaged now. Engine replacement can be an expensive option but it gives a new life to your car. If the budget is tight, consider choosing rebuilt or salvage engines which also offer great reliability and are pocket-friendly as well. To ensure a long life of your car engine, make sure to inspect it weekly to notice anything wrong. Our best recommendation is to take it to an official dealership or auto-specialist to save time. Overall there is really no significant symptoms to look for when it comes to high oil pressure. You do often only see it if you have a manual gauge installed to your engine, some cars do have this standard also. Other symptoms for high oil pressure is oil leaks around the engine. High oil pressure can cause high crankcase pressure also which could cause your engine to start to leak oil through the gaskets. On some cars, the oil pressure light will flash on your dashboard if the pressure get’s too high! Before concluding that your car has a high oil pressure problem, it is a good idea to first check and see if the oil pressure gauge is working fine. If the car is idle and the engine oil is hot – You do normally have low pressure. If the engine oil is cold and you rev up your engine, the gauge should be much higher.